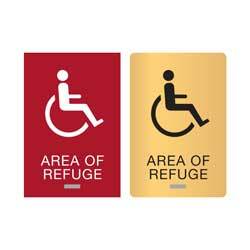 AREA OF REFUGE sign with optional wheelchair graphic for accessible access. 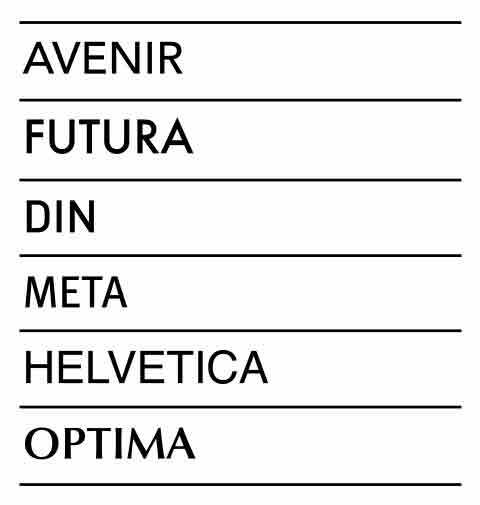 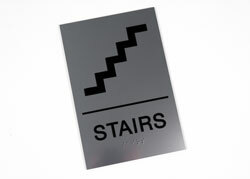 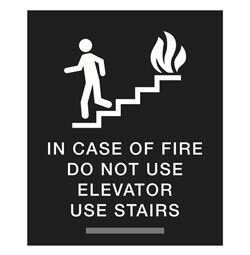 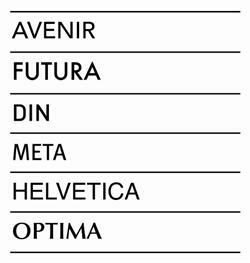 Sign includes 1/32” tactile lettering/graphic with corresponding grade 2 braille. 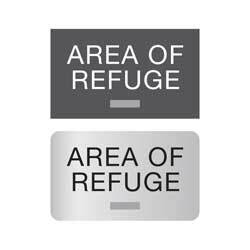 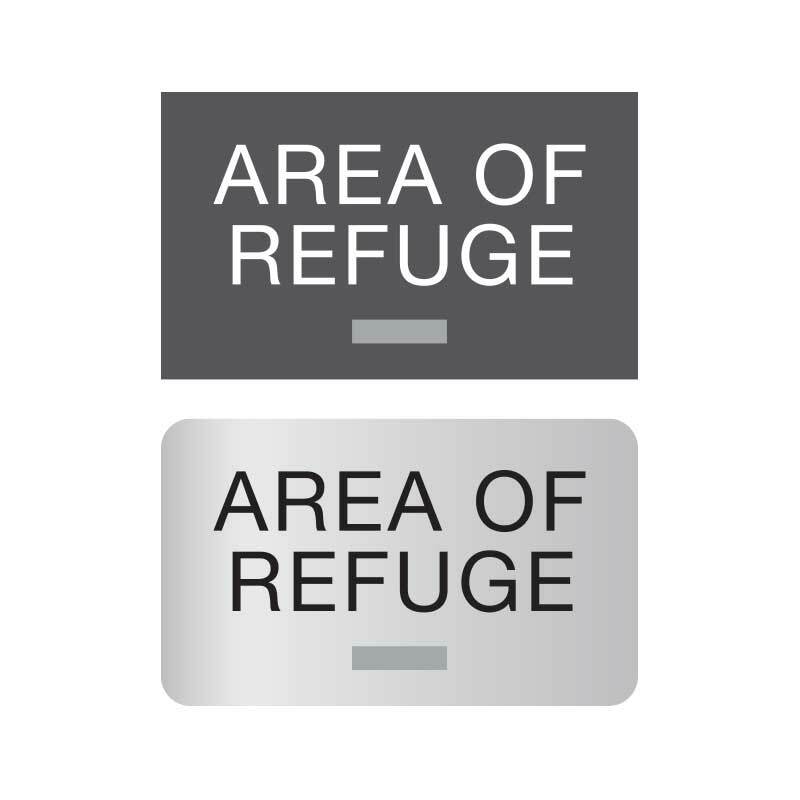 Text reads “AREA OF REFUGE” with optional graphic (in photo). A variety of ADA compliant colors and finishes are available including wood grains and a brushed metal look. 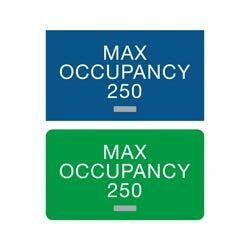 Sign measures 1/8” thick. 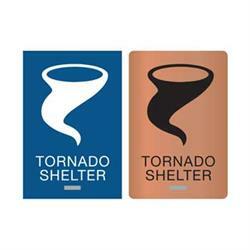 6" x 9" TORNADO SHELTER sign with grade 2 braille and tactile (raised) text and graphic. 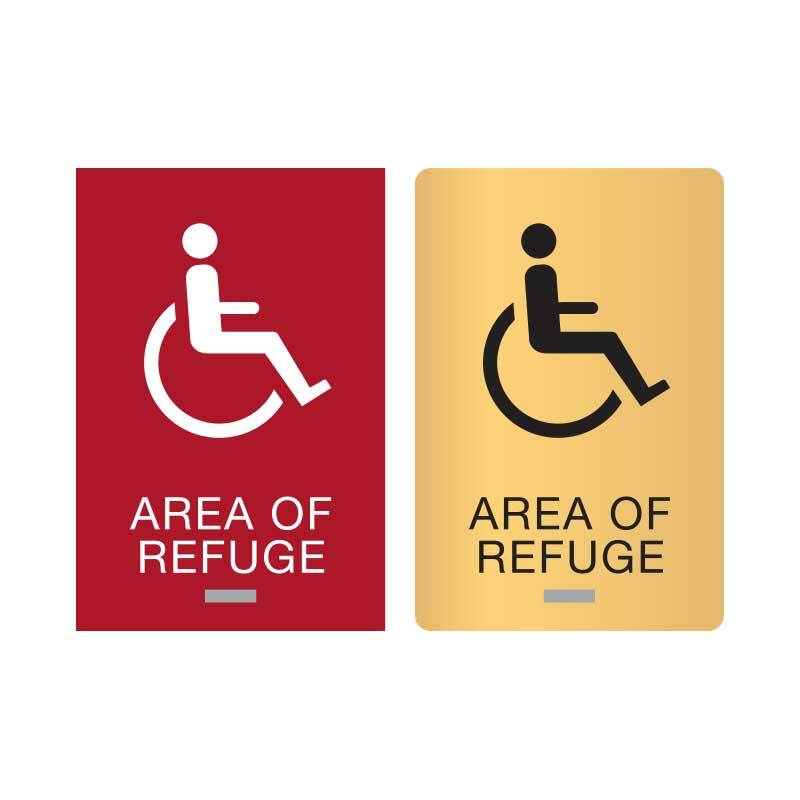 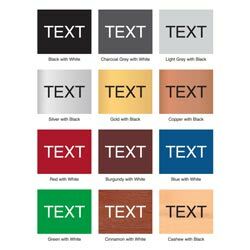 ADA compliant 1/8" thick acrylic signs are available in a variety of two color combinations including metal and wood tones.